Yeah, but: Shortest. Review. Ever. The Long Version: The label says it's "hair and body wash" for men. Finally, a shampoo that assumes I'm lazy rather than balding. "Lazy. Because you're worth it!" Sorry, I just could not resist. 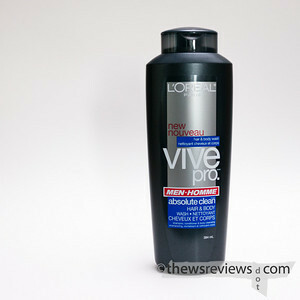 Since talking about which shampoo to use is the most masculine topic there is, I found Pantene Pro-V to do the as the shampoo for me. Sometimes, I get Head & Shoulders instead. But hey, everyone has different hair types, right? I switch between a few different brands - typically with 2 or 3 bottles on the go at once. I think one of the many pro-v has been one of them, but I couldn't say for sure without checking. Besides, I hardly have any hair, so it's not like I know much about what works. But why are there so many "Pro" shampoos?